Chris Pesch is a Partner in the Corporate Practice Group. 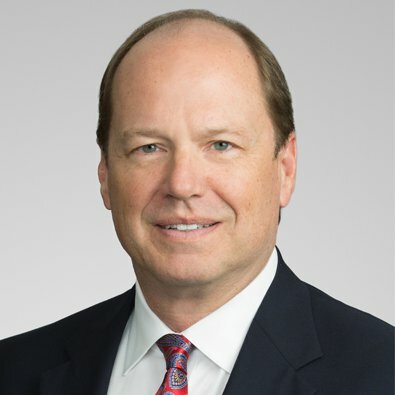 He possesses over 20 years of leadership experience in a broad range of general corporate and securities matters, including mergers and acquisitions, compliance with federal and state securities laws, initial and follow-on public securities offerings, private placements corporate governance, and general commercial transactions. Chris has represented diverse businesses of all sizes, including publicly and closely held corporations, in the areas of corporate finance, securities, and business organization. In addition, he has represented purchasers and sellers in a variety of business transactions, including mergers and acquisitions, divestitures, and joint ventures. Before joining Freeborn, Chris was a partner and served as chair of the Corporate and Securities practice at PIB Law. Previously, he also served as Executive Vice President, General Counsel and Chief Legal Officer for Patriot National, Inc. an insurance industry technology and outsourcing solutions provider that was listed on the NYSE. Represented multiple business during initial or follow on public offerings of their capital stock, including a mono-line property and casualty insurance company, an insurance services company and a financial services company. Represented an insurance services company in a $135 Million syndicated secured debt transaction. Represented the dealer-manager in a successful issuer tender for a class of stock of a Bermuda insurance company. Represented the holding company of a FINRA-registered broker-dealer in an attempted hostile takeover. Represented a purchaser in the auction process for a major financial services company. Represented a Canadian company in a $40 Million cross-border debt offering. Represented public and private companies in various acquisitions. Represented an off shore bank in $1.5 billion 144A note offering. Represented major regional bank in several bank holding company acquisitions totaling over $500 million. Represented private equity fund in drafting organizational and offering documents. Represented lead underwriters in a $300 million structured finance transaction. Represented a Midwest financial services company in a $35 million recapitalization. Represented international publicly-held manufacturer in its acquisition of a division of another publicly held business. Represented purchaser in “squeeze out” merger to cash-out minority shareholders.